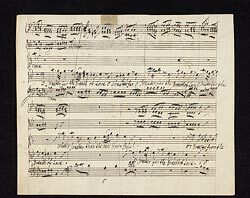 Handel, George Frideric, 1685-1759. Joseph and his brethren. What's sweeter than the new blown rose . What's sweeter than the new blown rose, from Joseph and his brethren : autograph manuscript, 1744?